FooBox works with your native WordPress Galleries right out of the box. 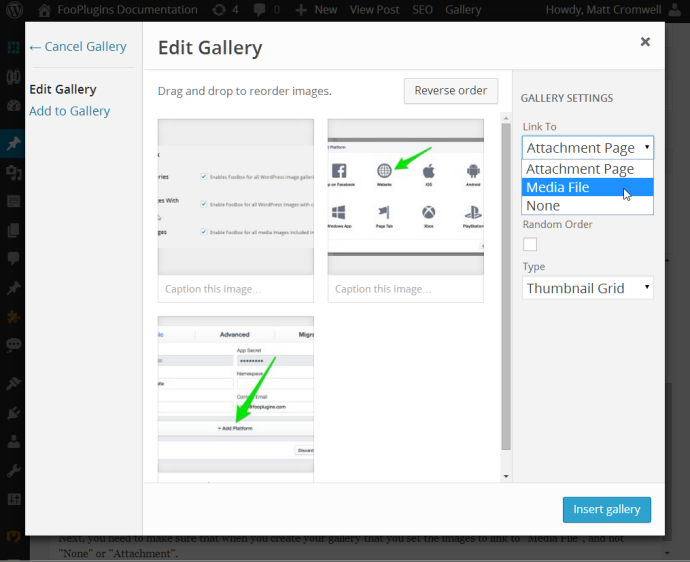 There are just 2 simple steps to make sure your WordPress Galleries load in FooBox correctly. First, you need to do is go to your FooBox settings, to the General tab, and in the "Link to" section select "WordPress Galleries".